I love the narration and the history that accompanies this podcast. I just read the story of clever Hans . I think it would be interesting to hear it on this podcast because it is pretty twisted. I love the history about the origins of the story. The narrator has a beautiful voice that I like to listen to. The topics are interesting with stories Iâve only heard here for the first time. The narrators are corny and very unappealing. I love the podcast and listen every time a new episode airs. The only reason i gave it 4 instead of 5 stars is because there tend to be a lot of promotional clips and episodes. I really enjoy and appreciate this great podcast. Iâm hope it never goes away, I could listen to this podcast forever, I love the host and love her narration. Her voice is made for this. This is such a fun podcast! I enjoy hearing original aspects of each tale. Tales fits in perfectly with Parcastâs preferred storytelling format. There is no awkwardness that can sometimes come with telling true crime in this narrative manner. Vanessa does such a good job with these stories. You can tell she really enjoys the subject matter. Really, really fantastic podcast! I would love to see more frequent episodes in the future. This is definitely Parcastâs best podcast. This is beautiful and well-though podcast, that simultaneously feels like reading a great dark and creepy King novel and being back in Story Time in school! It is a treat donât miss it! Not what I expected! Better!!! Iâam 67 years old always loved Fairytales as a child. This podcast is over the top and could only be told by a very professional storyteller. Glad I found it! Very well done! Interesting story. If Vanessa is on the podcast = I'm gonna subscribe!!! Ughhh another one I REALLY wanted to like but I canât stand corny re-enacting or readings. Just read the story to us like the adults we are? Please? Wow, forget Cinderella, which obviously is a way watered down version of this tale. I loved this macabre tale with is strong heroine. Some have complained that the narrator occasionally does voices. This doesn't bother me at all--I feel like I am sitting by a campfire, getting spooked out! This is supposed to be a podcast for adults. The way the stories are told is as if they are reading a book to children. The multiple voices used and the dialogue folded into the stories are utterly annoying. This podcast really taps into your childhood and than puts a dark twist in the mix. Love how they take those sugar coated stories we were told as children and reveals the hidden truths. Keeps getting better with each new episode! I found Tales through Levar Burton Reads and I'm completely hooked on it, although going forward I would love to see more non-European stories getting the attention they deserve- "Kachi-Kachi Yama", for example, is a classic Japanese folktale that would be a perfect fit for this show! As an elementary teacher, I have taught fairytales many times and have always enjoyed learning about the storyâs history. This podcast does this beautifully. I always look forward to hearing the next one. My teenage son turned me onto this podcast, he loves stories and history. Thanks for making this podcast! The narrator does a beautiful job. I love Vanessa Richardsonâs voice. I enjoy all these fairytales. This podcast is excellent. This podcast is interesting. Iâm pushing 30 and Iâm diggin it. Iâve recommended it to my friends. I love this podcast and I came back to it after awhile of not listening (I like to binge several at a time) well low and behold, al past episodes are gone and I have to now go to stitcher and get premium for them? That bums me out. Shame on you parcast. Iâm not sure how I stumbled onto this podcast but Iâm so glad I did. 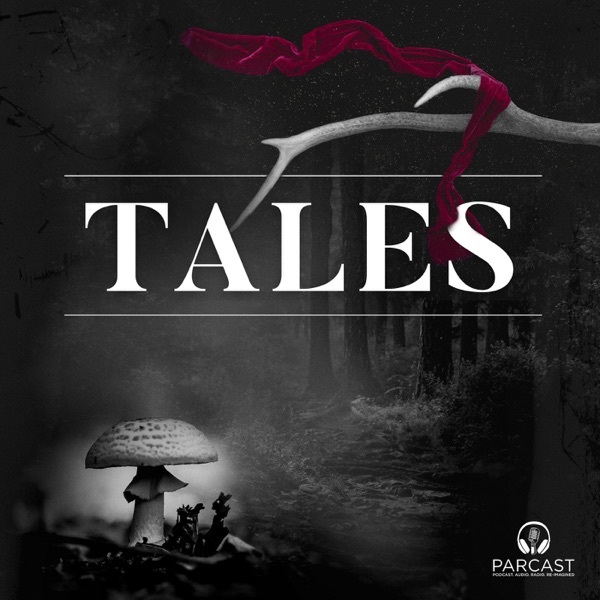 âTalesâ is so captivating and brilliantly produced, there is no need for me to pay for a monthly Audible subscription anymore. âTalesâ serves up a new episode just about every other week and I love it! This podcast edits classic story from the past to make them politically correct for today. They âcorrectâ the original story without permission from the author. This shows great disrespect to the artist. If they donât like whatâs in the story, then donât cover that story, but editing stories is unacceptable. I never want this podcast to end. I love the well written story format. This podcast is just what Iâve been searching for!! Narrator: great. Stories: great. Everything else: great! This is amazing! Love this podcast. Very innovative and puts me right to sleep. I keep waiting for more fairytales though (Rapunzel is on repeat.) Keep up the great work! I love the stories on this podcast - they have an edge but are not scary or gruesome like most other podcasts out there. Vanessa is a great narrator and her varying inflections really make the stories come to life! Iâm a grown adult, but always enjoy a good story. I look forward to new episodes! Iâve enjoyed these so much, Iâve wanted to even animate these stories. I would still like to when I have time and if I can speak to the hosts. I recommend this podcast to everyone! Thanks for the great stories and audio! Iâve been listening to Vanessa Richardson for a while. I love her other podcast Cults, which is how I found Tales. Iâve always been fascinated with the original version of stories and tales and this is such a cool way to tell stories. Listening to the Peter Pan stories now and Iâm so happy that in this version they chose to omit the stereotyping of First Nations people. Iâm so happy and proud that the crew at Tales realizes that as we pass stories down, we donât have to perpetuate the negative stereotypes that the original writers created. We can keep things authentic to the original and be respectful of the knowledge we have today. Thanks so much!! I LOVE the fact that it brings back the classic stories I heard as a kid (some with a dark twist now that Iâm older) and the amazing story telling ability by the podcast hostess! Just brilliant! I love Tales. Iâm not at all taken aback by the true telling of the Disney classics. And I have to admit, Peter Pan made me cry. I love this podcast. Love it and want more episodes per week! I work in freight and love listening to these stories! I could listen for eight hours straight, if I could lol! I seriously love this podcast. Vanessaâs voice is my favorite, and I love just how dark the tales are, donât get me wrong the Disney versions are great, but, as an adult I enjoy dark and twisty. Keep up the good work, Iâm always looking forward to listen to new episodes. This is a fascinating pocast! I Really look forward to hearing them, love love it! Terrific, very interesting and well produced podcast. Thanks! Itâs one of my favorite podcasts!!!!! I love all the stories and Vanessa does a great job bringing them to life. Iâm always excited each time a new podcast comes out. We done and well paced. Enjoying working my way through the stories. My only criticism is that I wish this podcast was weekly! I love these stories! I love stories and this podcast doesnât disappoint. The host has wonderful range and beautiful voice. I may have heard some of these stories before but NOT like this way. I learn something new every time! I love Tales!! Vanessa Richardson is stellar in her readings. I was listening to Beauty and the Beast, totally engrossed and looking forward to the last podcast...but where did it go? Not to be found. What happened? Disappointed. I have enjoyed listening to the true story of each character and canât wait to hear more like the little mermaid.